Oh, you mean there's an interior to this store? 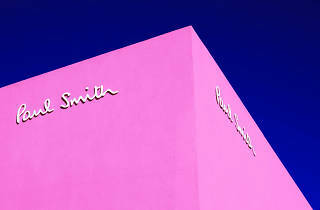 A "so British" atmosphere is cultivated with wood paneling, antiques, old books and bric-a-brac, much of it for sale along with the colourful shirts and knitwear in which Smith excels. 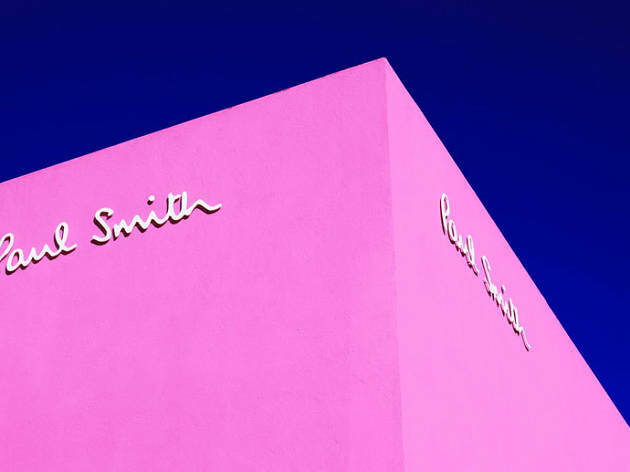 But most will know this outpost for its very pink exterior, an inescapable backdrop on Instagram.